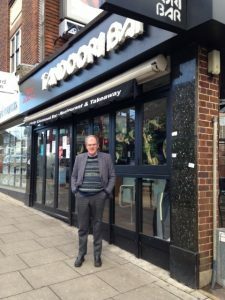 On 24 January Richard attended the meeting of Sutton Council’s Licensing Committee and spoke to the Committee about the new licence application submitted by the Noor Jahan Tandoori bar, at 10 Station Parade, Sutton, just south of Sutton station on the Brighton Road. The bar has a current Premises Licence to sell food and drink, but wanted to extend the hours of trading to 02:30 hours, to sell alcohol and food. Therefore, instead of varying the existing licence, they submitted a new application. The bar is in an area where special considerations apply and applicants have to demonstrate to a high standard how they comply with and promote these objectives. The bar is in a well populated residential area. We had doubts about it continuing to sell alcohol till 2.30am, even though this would be to people consuming food, as there could be noise problems for local residents in the wee small hours when it closes. ​We sought the views of residents before commenting. A significant number of residents wrote expressing concern so Richard registered an objection to ensure the application was considered by the Licensing Committee. The decision of the Committee was to restrict the hours of opening, so the bar will not stay open till 2.30 am.